A few years back, when I was doing research for “Losering,” I interviewed a lot of people — around 40, not all of whom were quoted in the final manuscript because I only had 50,000 words, and there were probably at least that many I spoke to informally or for background. 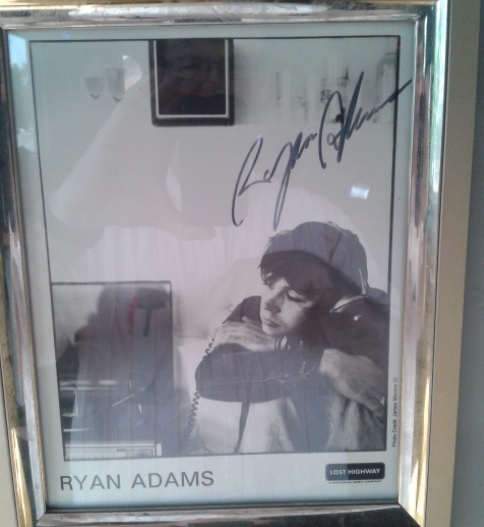 But I still didn’t even come close to getting around to everyone, which means there are still plenty of interesting, amusing, horrifying and even all-of-the-above Ryan Adams stories floating around Raleigh. One person I didn’t get to in time was Chris Clemmons, a longtime member of the Triangle music community and a bandmate of Sara Bell’s in various groups including Regina Hexaphone (Chris was also the source of the party flyer referenced in this post, which is one of many cool artifacts in his archive). When he was between bands 20-some years ago, Chris informally auditioned as bassist for what eventually became Whiskeytown. At the time, he was living in the Boylan Heights district of downtown Raleigh, in a bungalow apartment upstairs from Caitlin Cary. I joined them down in Caitlin’s living room one time, we set up and played a few songs. Ryan and Skillet (Gilmore) were both there, too. They probably only had four or five songs at that time, and it went okay until Ryan said we were going to “smash the state.” I think that was his punk-rock ethos because it’s what all the punk bands wanted to go out and do — but this would be a COUNTRY band doing it. Anyway, I said, “I work for the state,” and the conversation did not go so well after that. But I’ve worked in human resources for the state for about 25 years now. 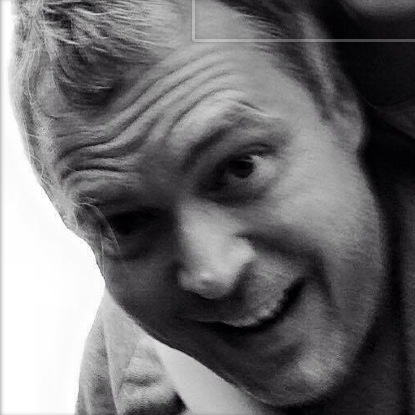 Anyway, Steve (Grothmann) was in the graduate program with Caitlin at NC State. So they knew each other and Caitlin told me they were looking for someone who played standup bass, which he did. I don’t know if he ever actually played standup in Whiskeytown, but he wound up there. I never really knew Ryan and that may have been the first and last conversation I ever had with him. And Whiskeytown broke up in 2000, but I’m still working for the state. I still think about that story now and then. 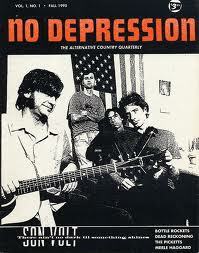 Back during the band’s heyday, much of what I wrote about Ryan Adams, Caitlin Cary, Steve Grothmann and the rest of Whiskeytown originally appeared in the pages of No Depression magazine (remember magazines?). No Depression billed itself as “the alternative country (whatever that is) magazine”; and if you haven’t figured it out before now, yes, the reference at the top of this blog to “Losering” as “The official unauthorized Ryan Adams biography (whatever that is)” serves as both inside joke and cheeky little tip of the hat. I was one of around a dozen contributing editors for No Depression, but the magazine’s primary editorial braintrust was Peter Blackstock and Grant Alden (two writers I very much hope will someday write books for our American Music Series). No Depression was a very cool magazine back in its day, covering the far-flung ins and outs of Americana music like no other publication. 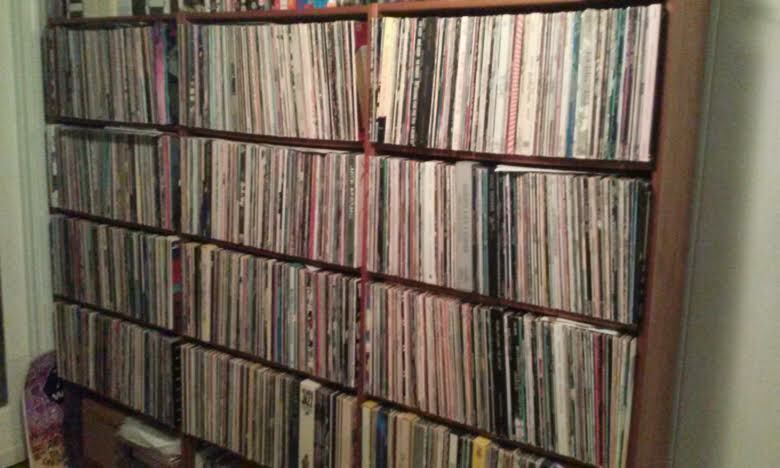 It had a great run over its 13-year existence, finally shutting down in 2008 because of the simultaneous and cacaclysmic decline of both the print and recorded-music industries. I still miss it, both as a reader and a writer. There’s more about the magazine’s origins, including its connection to various books I’ve written, here. Post-print, No Depression lives on as a website that’s still actively covering the Americana universe (including a very nice “Losering” review, thank you very much), and it will be marking the magazine’s 20-year anniversary through the rest of 2015. No Depression’s first issue — Vol. 1, No. 1, weighing in at a grand total of 32 pages — came out in the fall of 1995, featuring Peter’s Son Volt cover story. I think that still stands as the definitive story about Son Volt, and Jay Farrar thought enough of it and the magazine to send birthday wishes all these years later. That first issue also had a little piece by yours truly in the short-feature “Town & Country” section. Headlined “A short interview’s journey into hell,” it recounted the first time I ever interviewed Ryan. That story figures prominently into the preface of “Losering.” And for better or worse, the book probably would not exist if not for No Depression, so I’m grateful. 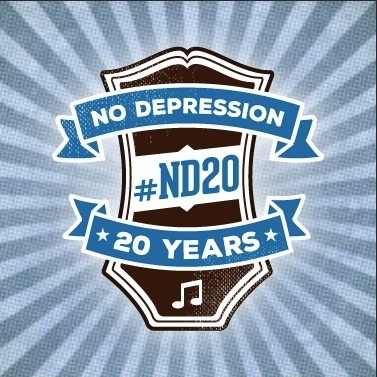 Happy birthday, No Depression! Let’s close with a song from Ryan. So I’m not the only one around these parts with a closet-full of relics from the Whiskeytown era. For example, the flyer below just turned up on Instagram via Angela Clemmons, a longtime friend and former News & Observer co-worker. She and I both wound up at more than one Whiskeytown show back then — possibly including this one, although it’s not one I remember. Note that in addition to “Whiskey Town” and 6 String Drag’s Kenny Roby and Rob Keller, the bill included Tonebenders and How Town; read more about that branch of local music’s family tree here. According to Steve Grothmann, “Park County” was the house on Park Avenue in Raleigh where all these bands practiced (and many of the players also lived) in the mid-1990s. And not a bad price for an evening’s entertainment, either! Also of note is the venue, Gillie’s, a bizarre joint where you’d sit at the bar on swings that hung down from the ceiling (a setup that created ample opportunity for drunken mayhem). A few years after this show, Gillie’s closed down and underwent a major remodeling to reopen under its original name from its days as a movie house, the Lincoln Theatre. With owner Rose Schwetz’s announced June 1 deadline for finding a new space fast approaching, the fate of Sadlack’s is still up in the air. Plenty of rumors are going around, stories of possible spots for a relocated Sadlack’s; but for now, none of them are substantial enough to report. In the meantime, I’ve been meaning to post a couple of things from Whiskeytown’s birthplace. 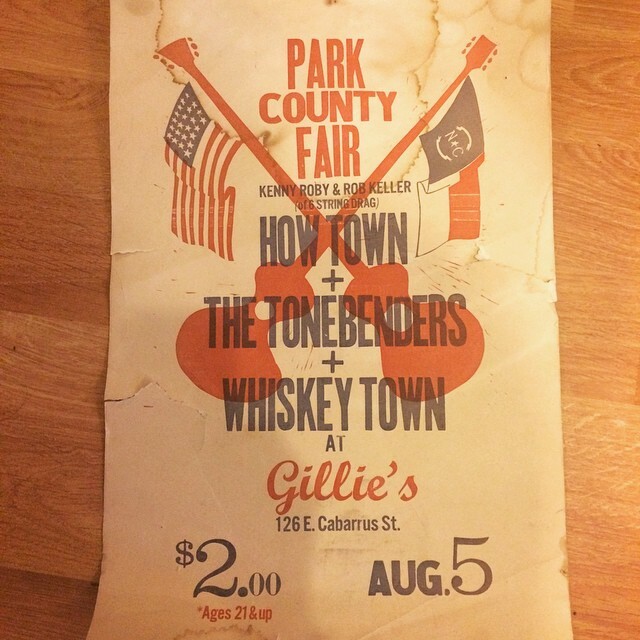 First, on the right is a flyer from one of the earliest Whiskeytown shows, back when their name was still two words. 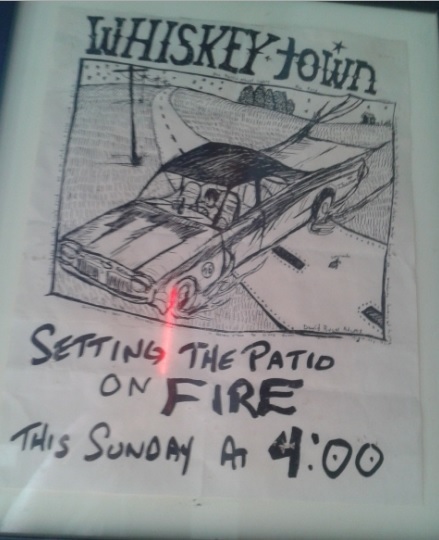 This wasn’t the very first Whiskey Town show, but it’s pretty close; it dates from late 1994, and appears to have been drawn by Ryan Adams himself. You can find it hanging on the west-facing interior wall of Sadlack’s, framed and just inside the back door at about eye level. Next, here on the left we have a circa-2001 autographed photo bequeathed by Ryan himself after he hit it big as a solo act — and also after he learned a more stylish way to sign autographs. Back when he would get autograph requests in the early days of Whiskeytown, Ryan tended to employ more of an elementary-school scrawl. Anyway, this is also framed and on the same wall as the 1994 show flyer. If Sadlack’s does relocate, I hope both of these artifacts will find their way to the new spot. Finally, below is a photo from the Sadlack’s Facebook page, taken on a pretty momentous night in Whiskeytown lore. 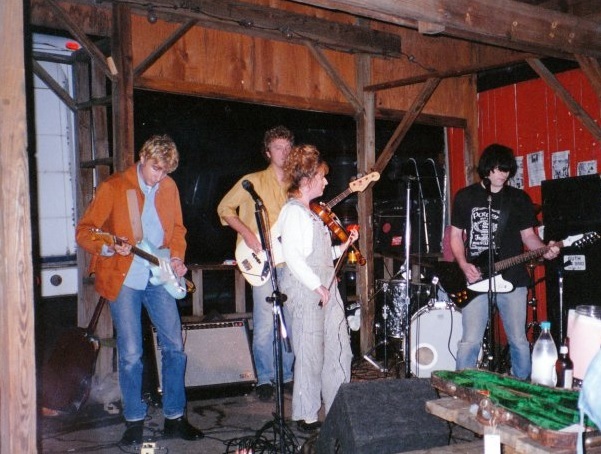 This was Whiskeytown playing on Sadlack’s back patio on the night of the band’s first big lineup implosion in 1996. Following this show, bassist Steve Grothmann, fiddler Caitlin Cary and drummer Skillet Gilmore all quit, leaving Phil Wandscher to carry on with a rather chunky Ryan (see Chapter Six of “Losering” for more details). Caitlin and Skillet would both return; but this was Steve’s final show as a permanent member. When I was researching and reporting “Losering,” I went looking for every word I’d ever written about Ryan Adams and Whiskeytown over the previous decade and a half, and I thought I’d found everything — until now. While looking up Chapel Hill native Michelle Dorrance in the newspaper’s archives the other day, I happened across a little blurb I’d forgotten all about. It was in a Sunday feature called “Star Watch” from April 1995, in which the News & Observer’s seven arts critics (oh, those were the days) spotlighted up-and-coming local artists and performers we thought were worth watching. I recently happened onto another interesting little “Losering” reference from overseas, although it’s not a full-fledged review. This one is on a blog called DrifterCountry.com, which bills itself as “Too Country and Proud off it”; and no, that isn’t a typo — note the logo here on the right. 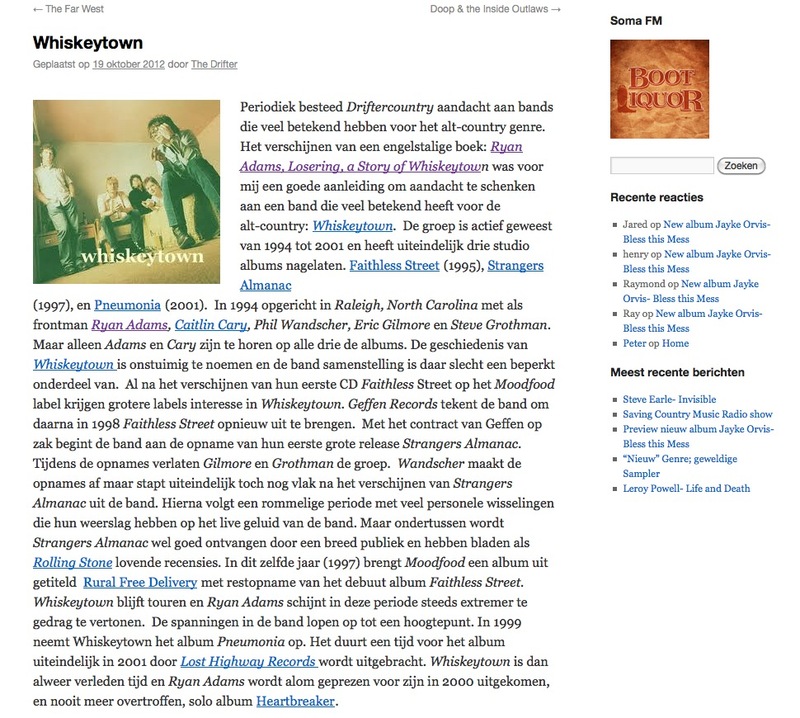 Anyway, my book gets namechecked in a Whiskeytown mini-history posted by “The Drifter.” It looks to be written in Dutch, if Google Translate is to be believed; the translation is below. Between this and an earlier review, I’d say there’s a groundswell building for a translated edition of “Losering” in Dutch. So how about it, UT Press? (1997), and Pneumonia (2001). 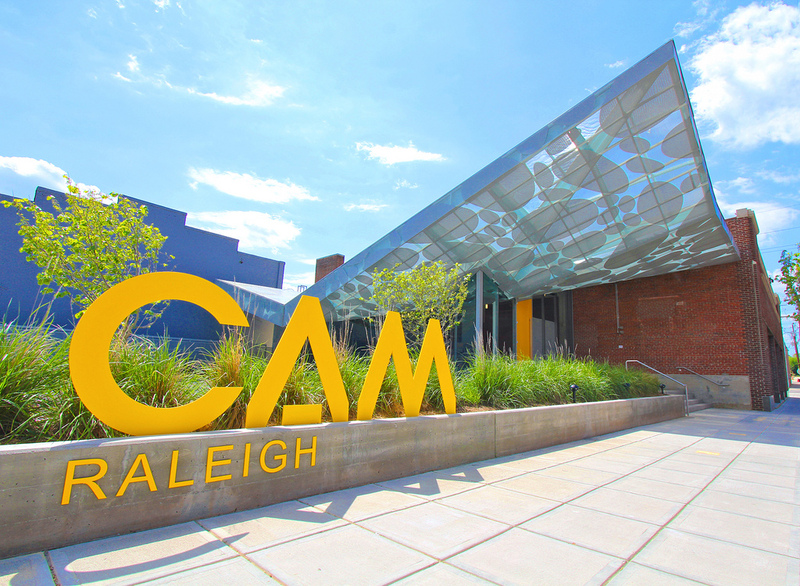 Established in 1994 in Raleigh, North Carolina with frontman Ryan Adams, Caitlin Cary, Phil Wall Cher, Eric Gilmore and Steve Grothman. But only Adams and Cary are featured on all three albums. The history of Whiskeytown’s turbulent called and the band structure is there only a limited part of. Already after the release of their first album Faithless Street on the Mood Food label get larger labels interested in Whiskeytown. Geffen Records signed the band and then in 1998 Faithless Street re-release. With the contract of Geffen pocket starts the tape recording of their first major release Strangers Almanac. During the recordings leave Gilmore and Grothman the group. Wall Cher makes the recordings but ultimately still get just after the appearance of Strangers Almanac from the band. The following is a messy period with many personnel changes that have an impact on the live sound of the band. But meanwhile Strangers Almanac well received by a wide audience and have magazines like Rolling Stone rave reviews. In this same year (1997) Mood Food brings an album titled Rural Free Delivery with remaining recording of the debut album Faithless Street. 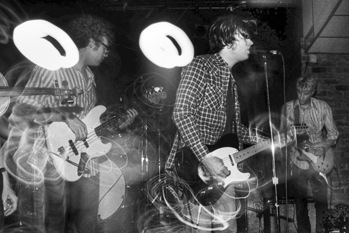 Whiskeytown continue touring and Ryan Adams shines in this period to more extreme behavior. The tensions in the band are up to a climax. In 1999 Whiskeytown Pneumonia on the album. It takes a while for the album finally in 2001 by Lost Highway Records is released. Whiskeytown is already history and Ryan Adams is widely acclaimed for its released in 2000, and never surpassed, solo album Heartbreaker. btw, I was the bartender that night at the Berkeley when the Dix patient took over the bar. He threw a bunch of bottles at the cops, and I cleaned up broken glass ’til the sun came up. Jennifer nudged me that this guy seemed dangerous, her radar was on, and then it escalated. That had me smacking my forehead, because I didn’t remember Steve being there that night and this would have been a great little extra detail to have in there (my reply began, “NOW you tell me this???!!!”). But so it goes; if I ever have the opportunity to revise “Losering” for a future printing, that is definitely going in, along with all the other pithy details that have come to light since the book was published. Steve has traveled a long and varied road since leaving Whiskeytown in 1996, right before the band signed its major-label deal with Outpost Records. If memory serves, the first time I saw him onstage after that was in 6 String Drag’s horn section. That was around the time Steve also emerged with a new funk-slanted band called the Tonebenders — check out this 1998 No Depression feature I wrote on them. 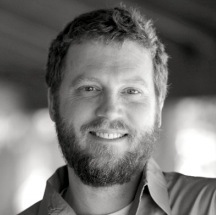 But Steve’s most notable post-Whiskeytown venture would be Countdown Quartet, which he started up with Tonebenders hornman Dave Wright in 1999. 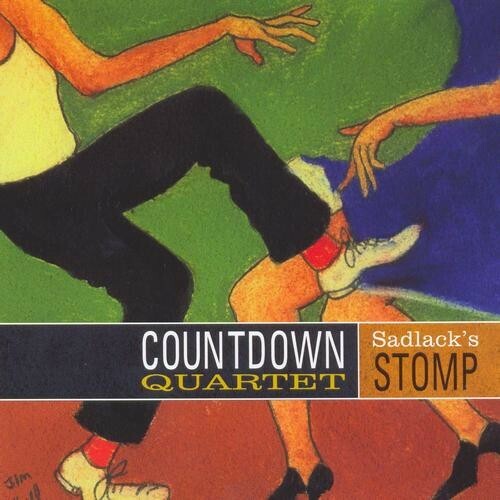 Wide-ranging, free-swinging and lots of fun, Countdown Quartet has always sort of been the Triangle’s answer to Booker T & the MGs — only with vocals. Squirrel Nut Zippers co-founder Jimbo Mathus was a part-time member for a long stretch, and he added plenty of blue-note funk. I remember them being one of the hardest-working bands in town. For about five years, it seemed like I never attended a local show, party or wedding where the Countdown guys weren’t playing in some capacity or configuration. I recorded it on my 4 track cassette machine, in the living room of the house Jennifer and I were renting then, near North Hills in Raleigh. As I remember we set up sort of like being on a stage, drums and amps in a line facing forward, with two mics in the room, one toward each side facing us– like we were playing to an audience of two mics. The vocals were overdubbed, I believe. It was LOUD, really LOUD, and simply done, and really fun. I mixed the 4 tracks a little and Ross Grady came over and we just played the stereo mix into his portable DAT machine and that was that. I remember that a bunch of Voidoids songs had already been claimed by other bands involved in this project, and I was really glad that “Blank Generation” was still available. I transcribed the lyrics for Ryan as best I could- they’re hard to get, (this was before any lyric was on the internet) – and then he came back with completely different chords than the original. Basically, the same verses put to new music, which is the same thing we did with Nervous Breakdown– and it turned out much better than if we had more strictly “covered” the song. Whiskeytown version 1 started around Sadlack’s and the house where Ray Duffey and Phil W[andscher] and Dave Wright lived on Park Ave. Skillet owned Sads at the time, and a bunch of NCSU English masters students hung there — Caitlin and me included. Phil worked there and then Caitlin and Ryan too eventually. 6 String Drag, Whiskeytown, and How Town (Dave Wright’s band) rehearsed at the house on Park, and the Tonebenders must have started there too. At that time Ray Duffey played drums with all of those except Whiskeytown, and I was in the Tonebenders later too, and the Countdown Quartet eventually came out of that. Dave W and I were the part time horn section for 6 String Drag. Lots of creative people hanging out. A version of Countdown Quartet still exists today, gigging on an occasional basis (including last October’s YR15 shows; check this). But they’ve not been heard from on-record since 2002, when they put out an album with a title paying tribute to the place where it all started: Sadlack’s Stomp. Steve has another band going nowadays, too — Clear Spots, a noisy garage-type band he classifies as “hard to describe,” long on feedback with some Neil Young overtones. I look forward to seeing them sometime soon.